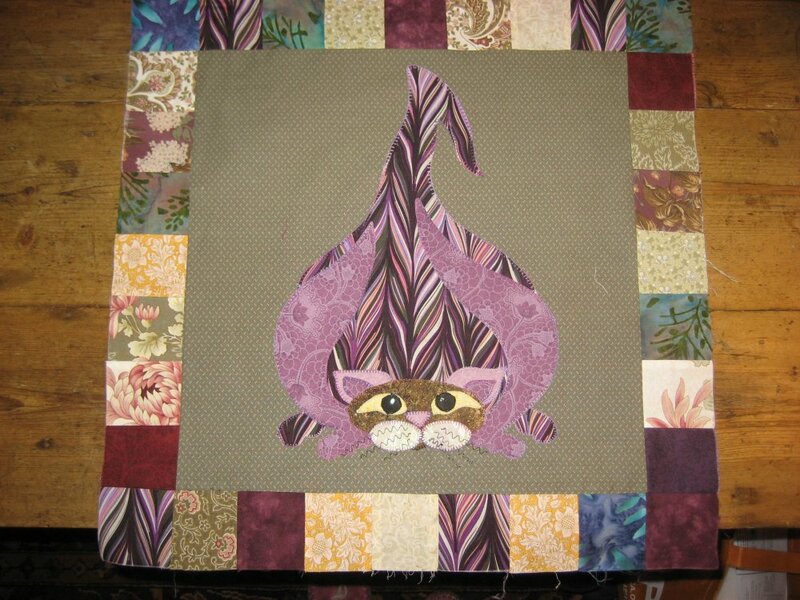 SQO4 - Garden Patch Cats -Walla Walla Kitty Block 4 pattern designed by Helene Knotts. 18" x 18" square block. Includes a recipe for Walla Walla sweet onion strips.